There are few essential services that can be as expensive as dental care, and as of 2016, 23% of Americans have no dental insurance of any kind. As a result, many people put off their preventative checkups and don’t go to the dentist until an oral health problem becomes quite serious. 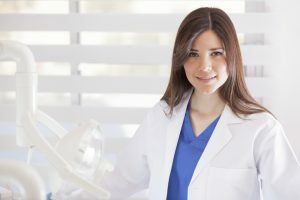 In this blog, you’ll learn about the affordable dentists near you (for those near Philadelphia, PA) and the best ways to get dental care well below market rates. Looking for emergency dental care in Philadelphia? Although we don’t recommend going to the ER for regular dental care, it can be an option when you have an urgent oral condition. 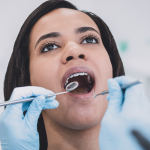 Depending on where you go and the timing of your visit, there may be a dentist available to provide specialized attention and issue prescriptions. If you have an infection, your doctor will prescribe antibiotics, as well as pain medications if necessary. If there’s a dentist on staff, you might even be able to have your tooth removed (though you shouldn’t expect to get that tooth pulled for free). What you won’t get during your emergency dental care in Philadelphia is a comprehensive solution to the problem. You should also expect a bill by the end of your visit. The average cost for an ER visit in the US is $749, and that figure rises to over $1000 when you live in a big city. 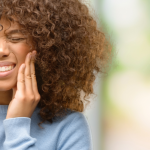 So even though it’s quite important to have your tooth treated when you think it’s infected, an emergency room visit isn’t the most cost-effective long-term option. Many states offer low-cost or dental clinics. If you live in a rural area, accessibility can present challenges for many people. Some dentists charge using a sliding scale, which means they adjust their rates to your income. The first place to check would be your local public hospital. Many hospitals have associated community dental clinics. You can also check the American Dental Association website to see a map of your state’s options for reduced cost for adults. This includes dental school clinics and other organizations dedicated to helping people access affordable dental care. Assistance programs to help pay for the costs of dental care vary from state to state. 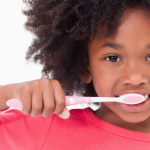 Children who do not receive dental insurance through their parents may be eligible for CHIP (Children’s Health Insurance Program), a program run by the federal government to ensure uninsured children have access to dental care. Families who earn too much to be eligible for Medicaid can have their children covered by CHIP. Though CHIP income eligibility varies by state, about 90% of children covered are in families that earn 200% of the poverty line or less ($40,480 for a family of three). The program not only covers health care, but pediatric dental care as well, making it possible for families to take their children for regular check-ups at the dentist. Some foundations, such as the ADA Foundation’s Give Kids a Smile program, also offer funding for children’s dental care. You can call the toll free-number at 1-844-490-GKAS to find out if there is aid available for your area. Do you have aging parents who don’t have dental insurance in Philadelphia Pennsylvania? Not to worry; there are resources for them, too! The PA Dental Association offers a discount program for older adults (65+) with a network of dentists who are part of the program. The services include examinations, cleanings, and all other dental procedures. Learn more about eligibility requirements for the Senior Dental Care Program for Pennsylvania. 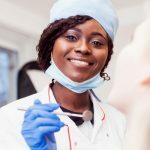 A dental school clinic guarantees low-cost care and high standards, whether or not you have dental insurance in Philadelphia, Pennsylvania. When you go to a dental school clinic, you know that the school is ensuring for the quality of the dental care you receive. Offers comprehensive care all under one roof with coordination between specialists. Uses state-of-the-art technology to ensure accuracy in diagnosis (dental imaging systems, etc). Features student dentists in their final years of training who are supervised by seasoned professionals. Provides payment plans that are agreed upon at the beginning of treatment so that cost is not a burden on patients. Performs procedures at below-market prices, which you typically won’t be able to find at a private dental office. This is possible because of our mission is to educate, not make a profit; thus, we absorb many of the costs you would normally pay at other clinics. We hope that you consider our clinic for your needs. As for us, we’ll work with you to make sure that you can get the treatments you need at a price you can afford. You can schedule your appointment today by calling 215-898-8965. And don’t forget to use this 25% off coupon on your first visit!